Everton star Ross Barkley will undergo a medical today in Chelsea ahead of his £15 million move. Barkley rejected a move to Stamford Bridge last summer after Chelsea and Everton had agreed a fee. 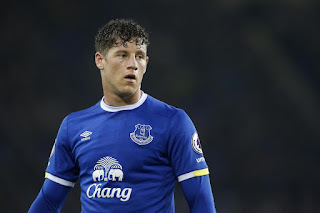 But Chelsea have not dropped their interest in Barkley and are now hopeful that they can complete a deal for the midfielder by the end of today. Accord to widespread, Barkley was in London on Thursday and is now due to complete a medical and finalise personal terms.